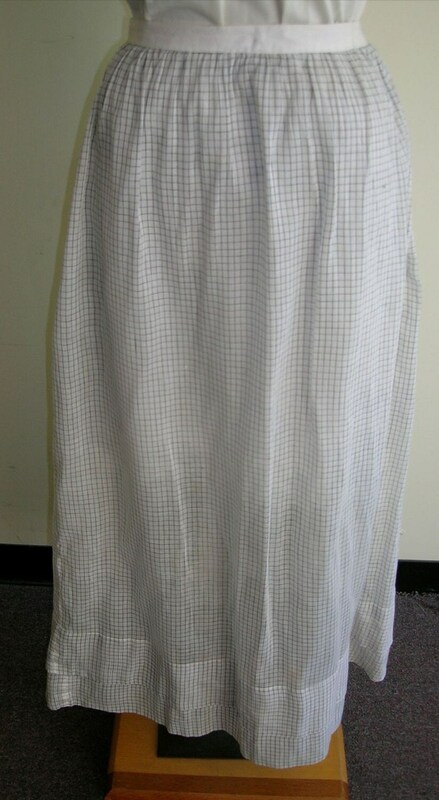 1918 Black and white batiste cotton check, two piece dress. 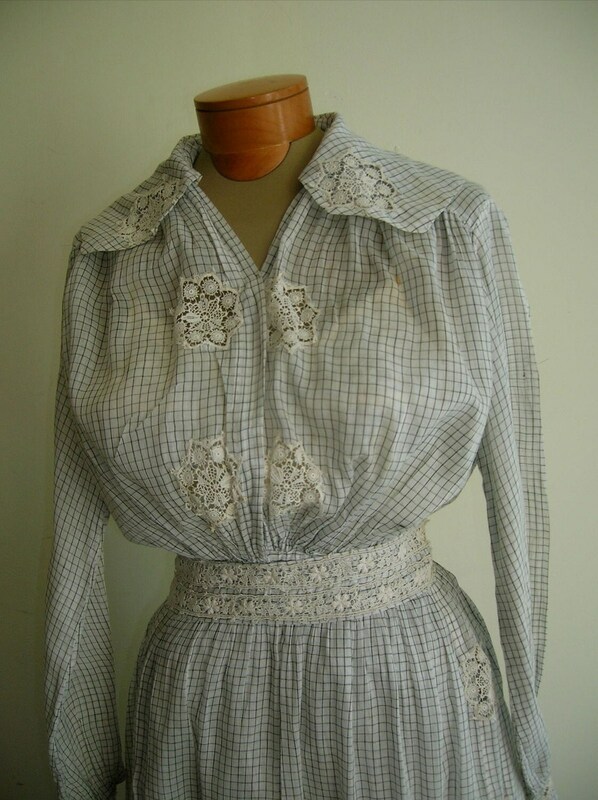 The top part of dress has lace medallion inserts , and a waist band of flowered lace. 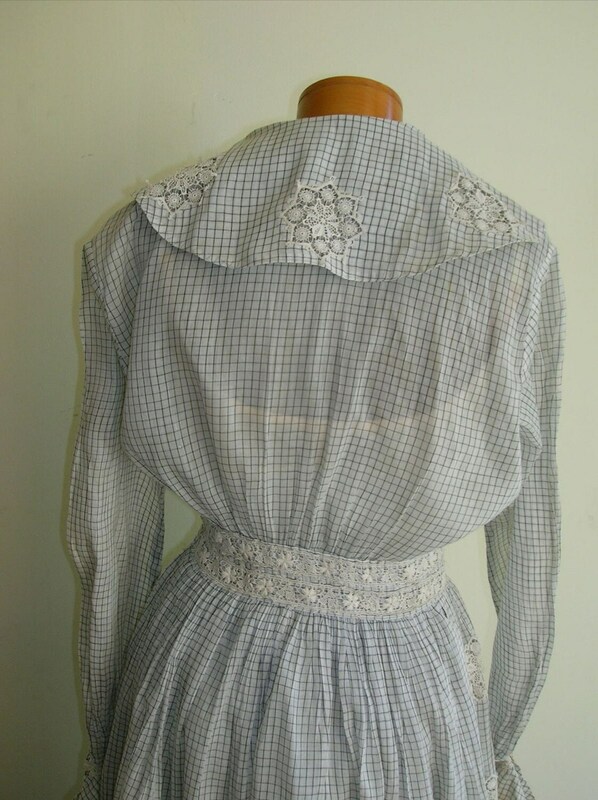 The top has a middy collar, gathered front and long straight sleeves with lace band and lace medallions on cuffs. The tunic like top has a long skirt with slits at each side, from thigh to hem. There is also a full length detached skirt to be worn with tunic top, the skirt has a pocket slit on the right side of skirt. Front of dress is fastened, from neckline to waist with a line of hooks and eyes. Hooks and eyes are also on the left side of waist at lace waist band, and there is an opening from waist to hip. Measurements: Shoulder to shoulder 17" shoulder to waist 16" waist to hem 31" bust 40" waist 28" sleeves 24" Skirt: waist 28" length of skirt 37" . Condition: Very good, small dot of rust upper bodice by left shoulder.